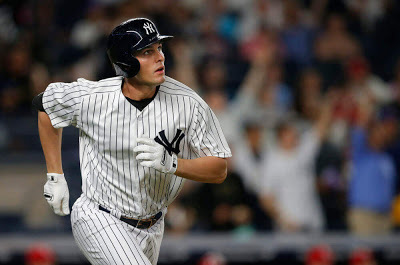 At long last, the Yankees starting first baseman Greg Bird will be returning to the major league team this Saturday, in the Bronx, as the Yankees take on the Halos. This came directly from Boone who told WFAN today. Bird has missed the entirety of the season, thus far, due to an ankle surgery in late-March. Bird’s bat will play well in a lineup filled with right-handed power. He hit 206 with three home runs in eleven rehab games. He will likely garner a majority at-bats at first base, but could very well be platooned with either Walker or Austin when the Yankees face a southpaw. A corresponding move has yet to announced. After countless injury plagued seasons since his debut in 2015, the Yankees hope that this will be the last hurdle Bird has to jump as he will try to once again cement himself as a cornerstone position player.